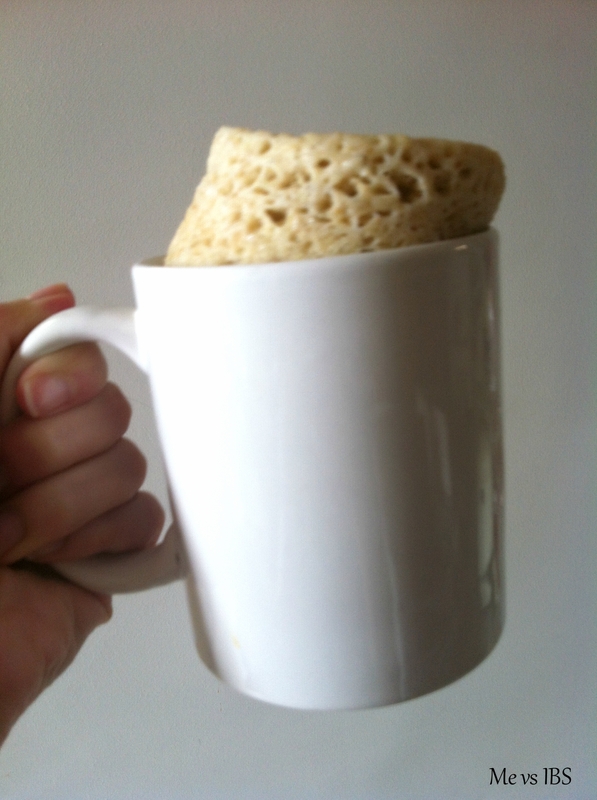 The first time I heard of mug cake I was beyond myself in excitement. A cake which is ready in 2 minutes in a microwave sounded too good to be true…. In a way it was, as all the recipes I tried ended up in an uneatable mess. I had completely given up on mug cakes but recently I gave it another go and discovered a brilliant recipe. This one is so light and spongy! I love it and can’t have enough of it now. Mix the oats with the baking powder and sugar. Add the remaining ingredients and mix everything together until you have a smooth batter. Grease a mug with a little bit of oil. Pour the mixture into the mug. The batter should fill 3/4 to 7/8 of the mug. Cook in a microwave on high for approximately 2 to 2 1/2 minutes. I love serving mine with some fresh blueberry puree. 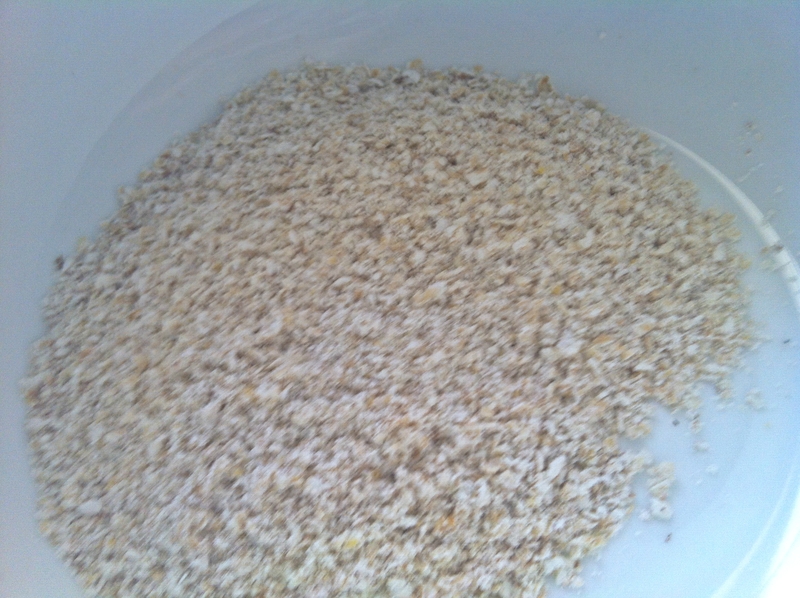 The oats don’t need to be ground very finely. Here’s a picture of what mine looked like. The cake will just slide out of the mug if you oil it a little. Choose the right sized mug to ensure it cooks properly. The batter should fill 3/4 to 7/8 of the mug. Posted in Baking, FODMAP diet, Gluten freeTagged baking, banana, cake, diet, easy, fodmap, fodmaps, GF, glutenfree, lactose free, low fodmap, mug cake, quickBookmark the permalink. I did not know mug cakes were so easy to make. I cannot wait to try this recipe. It’s great and made in no time at all 🙂 I had a few fiascos in the past but this ones definitely a winner. I hope you enjoy it. I just made this and you are right. It was so easy to make and it tastes so good! I added the recipe (crediting you and linking to your site) to the recipe section of my website Contented Belly. You can see it at http://contentedbelly.com/recipes/. Thanks!